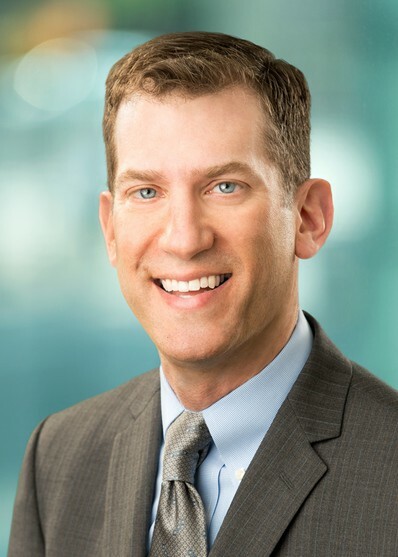 Jordan A. LaVine is chair of Flaster Greenberg's Intellectual Property Department and serves as a member of the firm’s Board of Directors. He concentrates his practice on trademark, copyright and unfair competition, strategic counseling, litigation, licensing, and prosecution matters. He is highly regarded within the legal industry and was recently named by the World Trademark Review as one of the top three attorneys in Pennsylvania for trademark prosecution, strategy, and counseling and he was ranked in the World Trademark Review’s highest band (gold) for his work. Mr. LaVine handles matters involving trademarks, trade dress, product configuration, unfair competition, trade secrets, copyrights, false advertising and Internet related intellectual property issues. His Internet experience includes handling domain disputes under the Uniform Domain Name Dispute Resolution Policy and counseling clients concerning website development and content protection. Some of Mr. LaVine’s representative clients are The New York Times Company, Penske Media (publisher of Rolling Stone, Variety, and The Robb Report), GrubHub, Advanced Sports, Inc. (manufacturer of Fuji, Kestrel, SE and Breezer bikes), and Medidata Solutions (a leading provider of software solutions for clinical trial management). Mr. LaVine represents clients of all sizes, from individuals to start-up companies to some of the largest companies in the world. A frequent lecturer and author, Mr. LaVine speaks and writes on various topics in the intellectual property field. Mr. LaVine is a past co-chair of ALI/ABA’s course of trademarks, copyrights and unfair competition for the general counsel and solo practitioners and is a frequent speaker on topics related to intellectual property law. Mr. LaVine has also been engaged as expert witness in matters concerning trademark law and is also regularly contacted by members of the media for legal commentary on breaking news regarding trademark disputes. In addition to this recognition by the World Trademark Review, Mr. LaVine has received numerous other recognitions, including being selected as a “Leader in the Field” in Pennsylvania for Intellectual Property by Chambers & Partners USA, 2008-2018; selected to Best Lawyers in America® in the field of trademarks and copyrights 2013 – 2017; was ranked by Trademark Insider Magazine among the top 25 trademark lawyers in the U.S.; and has been named a Pennsylvania “Super Lawyer” by Thomson-Reuters for many years. For 13 years, Mr. LaVine was an adjunct professor at Villanova University School of Law, where he created and taught the course “Advanced Trademark Issues.” He has also been a guest lecturer at the Fordham University School of Law. 2019: Jordan LaVine is said to be an "inspirational group leader" who "is incredibly practical, looks at issues through a business lens and analyses risk precisely. He has good interpersonal skills but can be aggressive when need be." 2017: Cited for being "very skilled and fantastic at prosecution on both a national and international level." 2017: Sources praised Jordan for being "totally responsive," having his work "perfectly done" and that "he makes sure we're [clients] are totally protected." 2016: Clients referred to Jordan as a "bright, creative trademark attorney" and a "true pleasure to work with." 2015: "Very level-headed and even-keeled" in his work. 2013: "Responsive and prompt with advice...and very pragmatic." 2011: "A real solid trademark attorney" with "great instincts."